Seven focused and dedicated high school seniors from The Kinkaid School, a college preparatory school in Houston, joined 2020 Exhibits for a Career Development internship program. With “enrichment through experience” cited as the Career Development program’s primary purpose, 2020 Exhibits challenged the interns throughout the customized internship program, covering a broad spectrum of the event marketing, collaboration and design process. Over the course of three weeks, they learned about the global impact of the event marketing and exposition industry, gained practical insights and experienced the power and possibility found through the dynamics of face-to-face marketing. 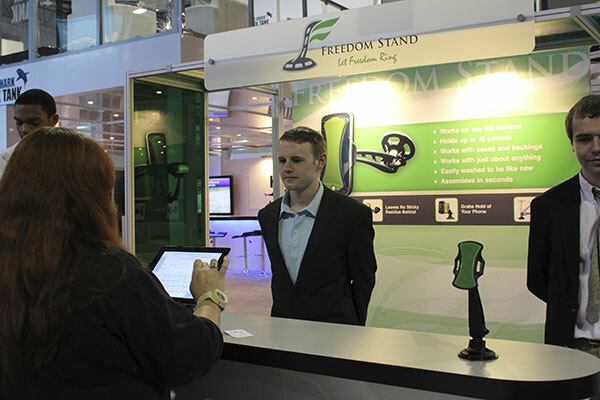 Throughout the internship program, 2020 Exhibits focused on delivering an engaging and interactive experience whereby the interns established two teams, which sought to win the hearts, minds and attention of the attendees at the final product and brand unveiling, as exhibitors in a mock trade show. 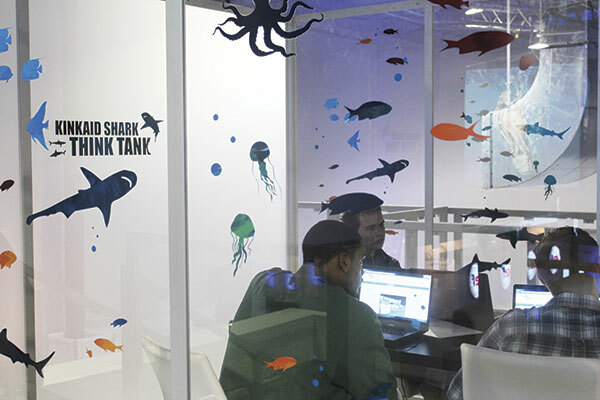 In the spirit of healthy competition and to enhance the overall internship experience, the interns competed in “Shark Tank” style, presenting their product and brand ideas to panel of seasoned marketing and branding professionals, aiming to win additional resources and deliver a private pre-show event. 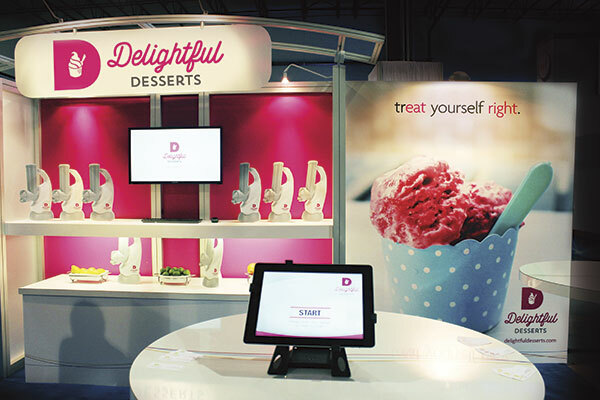 With a focus on creating an engaging event experience, two products were selected and re-branded: Delightful Desserts and Freedom Stand. 2020 Exhibits program mentors worked with the intern/business owners on marketing deliverable ranging from company logos and business cards to sales collateral, including multimedia presentations and large scale graphics. 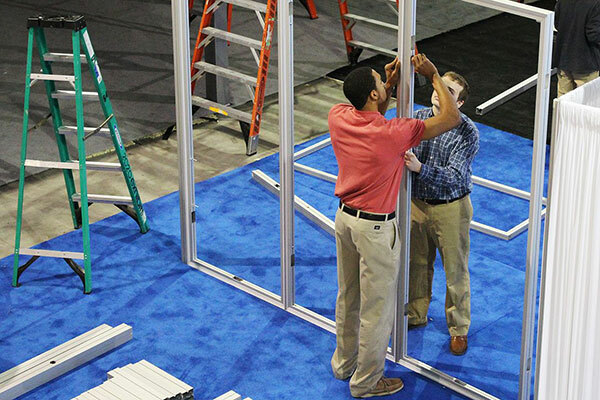 Projects were managed and the teams worked collaboratively through 2020 Exhibits cloud-based project, event and lead technology, which directed the project through each stage including tasking internal project members, design reviews and approvals; rendering reviews; exhibits.